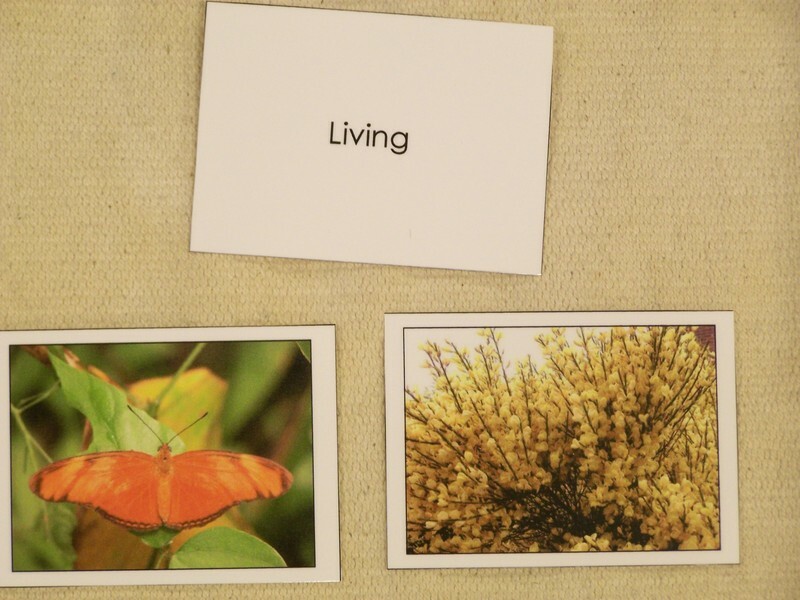 A blog devoted to Montessori education with a little bit of this and that thrown in. 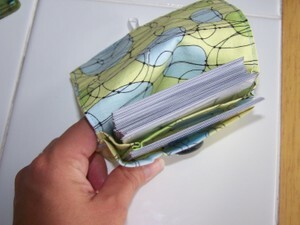 Last night I finished sewing the card pouches that were on my to-do list. 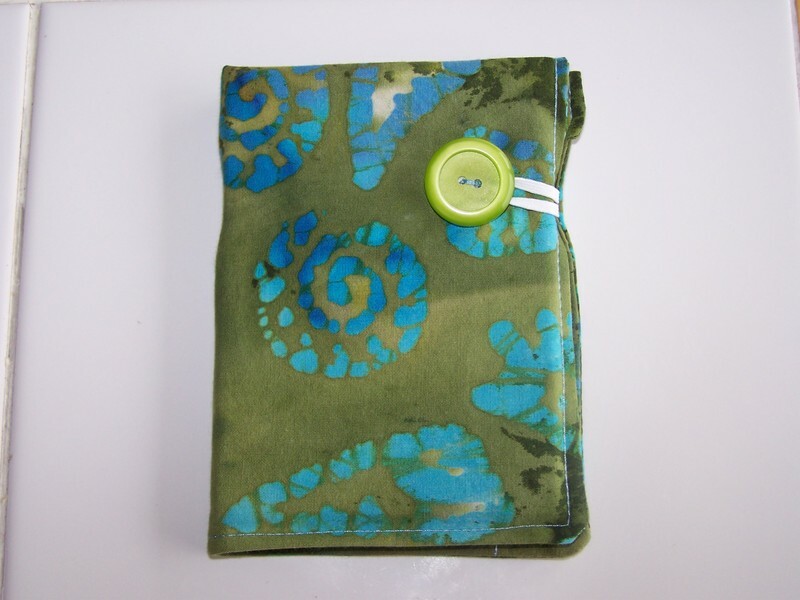 I had purchased several card sets from Lori at Montessori for Everyone that I wanted to make pouches for. 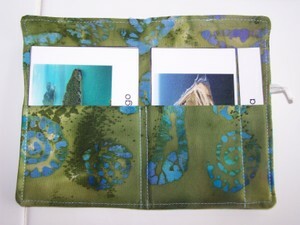 The pouch on the top left is for the Living/Nonliving Matching card set. I used a batik fabric from Hancock Fabrics. This one is just a simple pouch for all the cards to go into in a group. The other photos show the card set. If you haven't already done so, you should check out Lori's products. They are so nicely done with really beautiful graphics and photography. This pouch is for the Landform Cards. You can see that I made three pockets for each of the 3 parts. My measurements were a little off, however, so the cards fit pretty tightly in the pouch. I will see how the children do with this one. It may have to be remade. I have found that it's kind of hard to do these pouches just right without a pattern. Every pouch is different because of the dimensions of the cards and how many pockets you make. 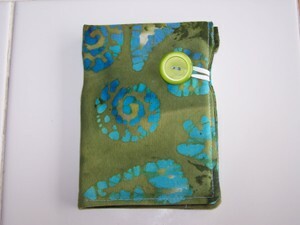 I do, however, love the colors of this batik fabric, especially with the land and water photos. 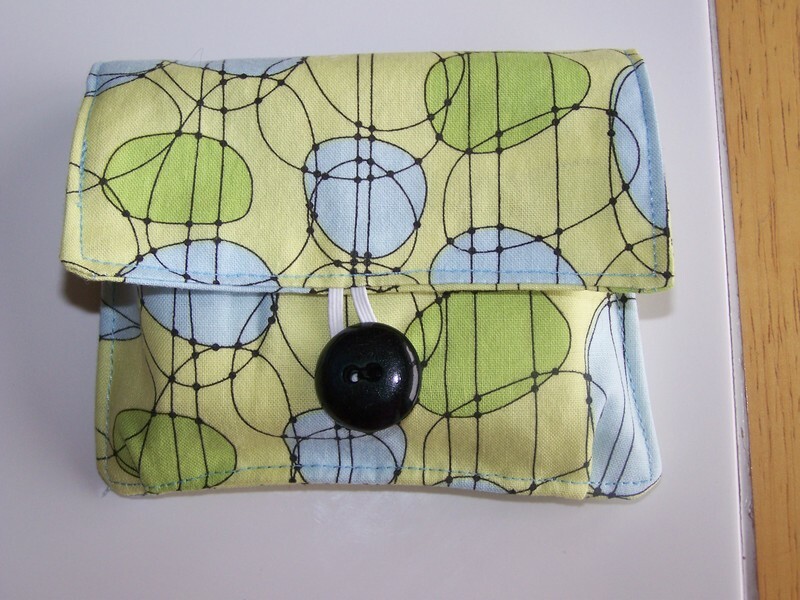 This pouch is for the Geometric Solid Matching Cards. I LOVE this card set. Her photos are so great for making the abstract concept of the geometric solids more concrete. This pouch, however, was a PAIN to make and I had to completely start over from scratch. You can see from the photo at the top right that I decided to make 2 pockets on top of each other on the inside. I did this because I wanted the control cards separate from the picture cards. The stack of picture cards is much thicker than the control cards, so I had to make the pouches deep enough to accommodate this. This was no easy task. 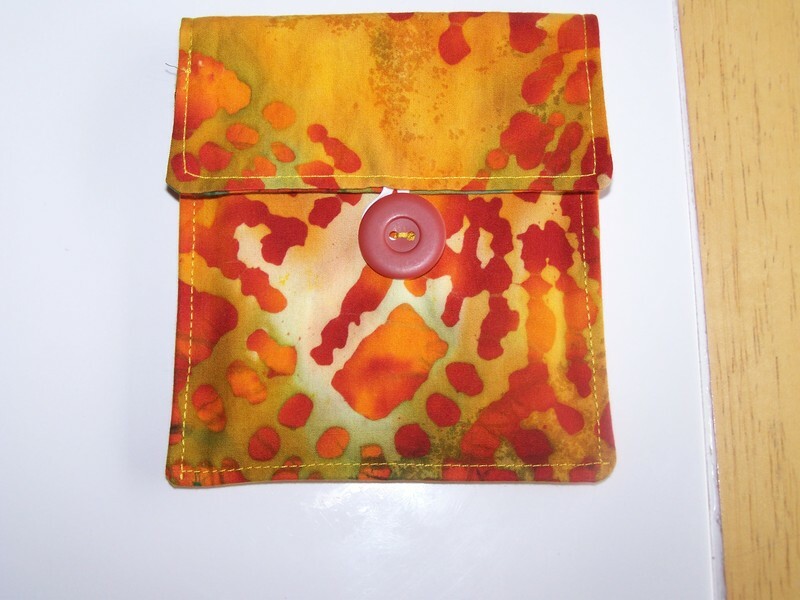 But I really, really like how the pouch turned out. I am really happy now with this project. 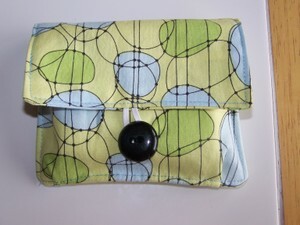 It will sit on the Sensorial shelf next to the Geometric Solids and the new little card pouch. To play the Mystery Bag game, the Geometric Solids are placed into the basket. You can either tell the child a solid to find, and they reach in and try to find it by touch. 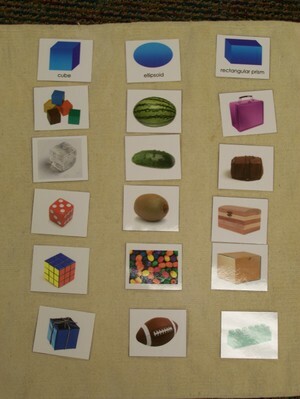 OR the child can lay out the Geometric Solid cards and try to find one of the solids by touch. OR they can reach in and grab one and try to name it before pulling it out to check. This game could be played with a friend or independently. 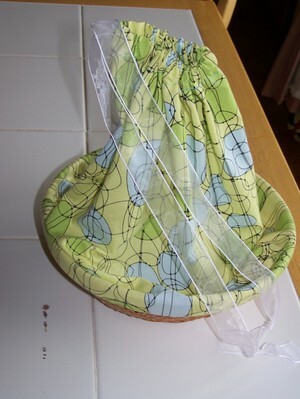 Do you have a tutorial or know where to find one for the pouches? Your work is very beautiful! MUST make the geometric solids mystery bag, and I have cards for the Geometry Cabinet that need a pouch! Never thought of cards for the solids! Another way to play the game with the mystery bag by oneself would be to have cards of the solids for the child to choose from, then find that solid. We play a game that all the children LOVE with the solids. It's a 3 or more person game and usually needs an adult to sit with them. The solids are placed on the mat, and covered with a blue cloth. Then we wave our hands over the hidden solids and say (quietly but with passion)"Abracadabra, Sis Boom Bam - Geometric Solids, won't you SCRAM!" (one of my teachers made up this poem years ago)Then a child pulls out one solid, covered with the cloth. The others need to guess which solid was removed by looking at what is left. The children take turns clockwise, rather than letting the one who guessed have the next turn. 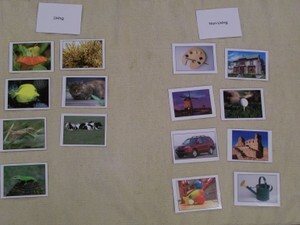 The teacher can decide which solids will be in the game by which children are playing. You need to make sure that the child who pulls the solid isn't wrapping the cloth around the solid, because then the others can see the shape of the solid! Not only do they learn the names of the solids quickly, but they also learn the words "Geometric Solids" quickly! 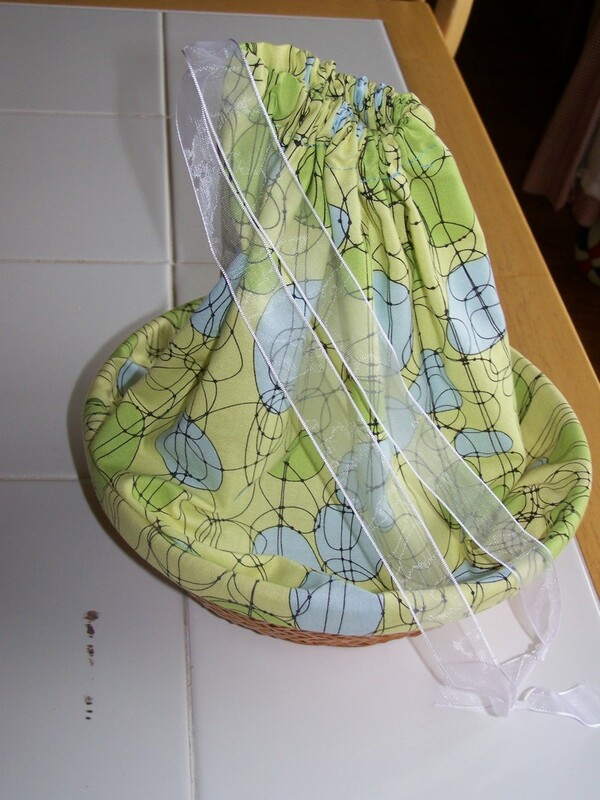 Love the pouches, especially the one you had so much trouble with. Inspired! I'm making sound bags right now, in the colours of the rainbow. They are a lot of work, but will last a long time, and be beautiful. I'm really enjoying your blog, by the way. 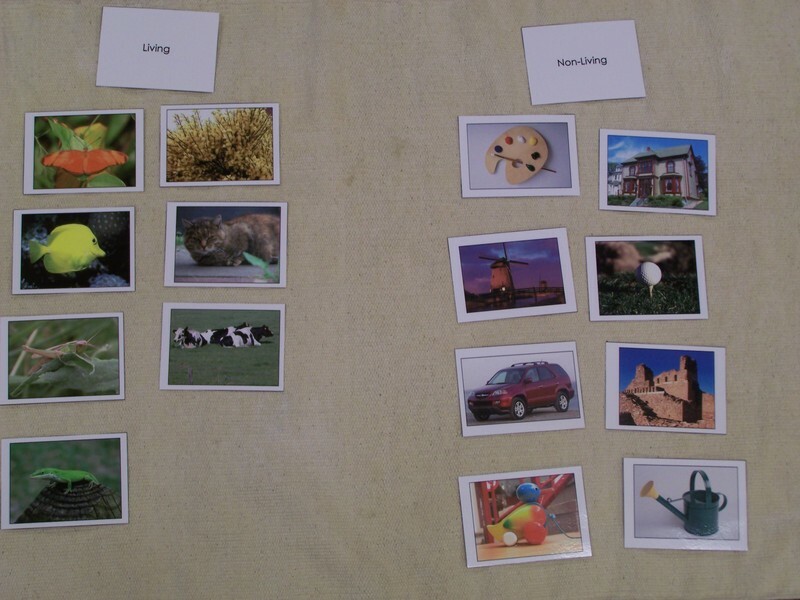 Can you tell me more about the thinking behind using pouches for the cards. They're beautiful, but they're a lot of work. I've been using a cabinet of drawers like you would store nuts and bolts. It's functional and organized, but it's not nearly as nice as your pouches. Also, how do you store the pouches? 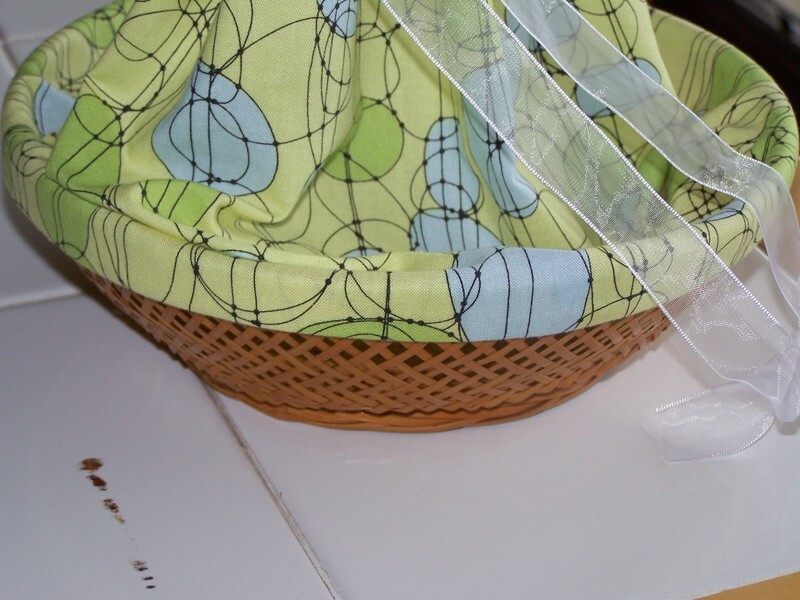 And do you always choose fabric that clearly indicates what's inside? That may not always be possible. I am a preschool teacher and mother of two.